Mid Lodge consists of two building parts, the main lodge building fronting the estate road and a cottage and outbuildings to the rear. The cottage has also partial access to some ground floor rooms within the main lodge building. 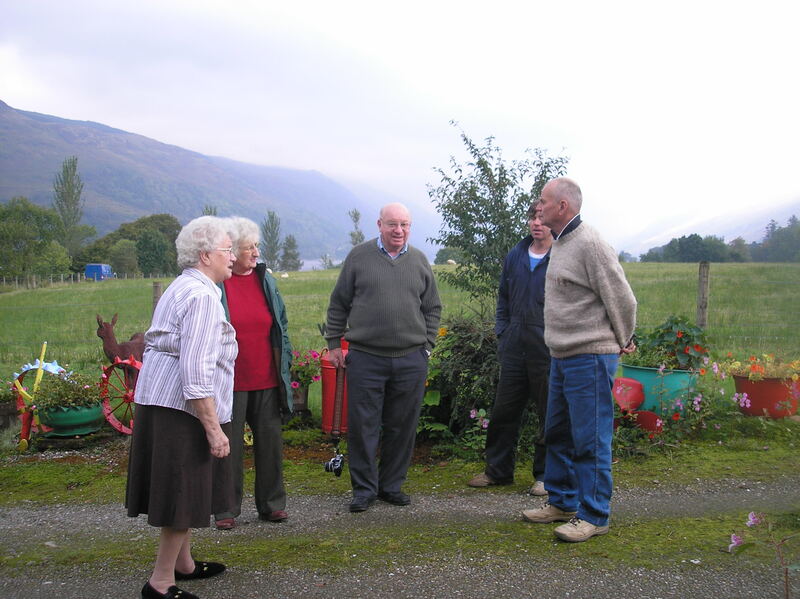 The cottage is the home of Nigel and Janet Callander and Colin and Margaret Callander live in the front main lodge building. 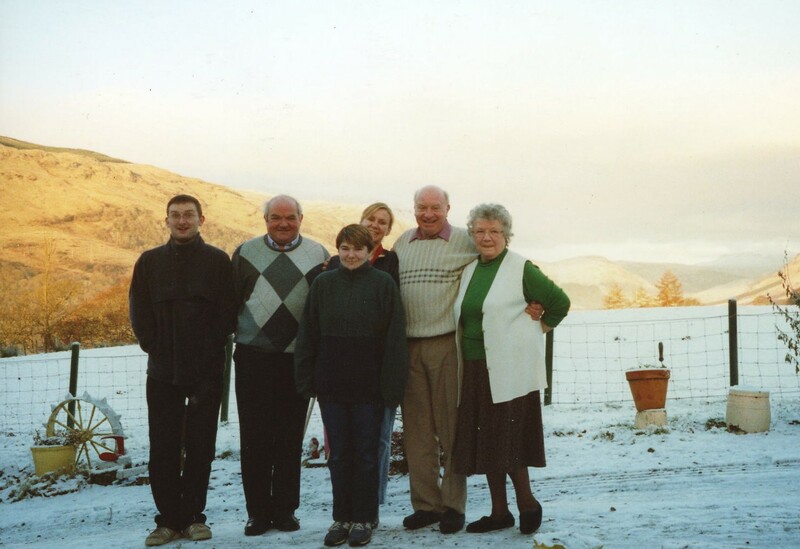 Access today could only be gained to the part of the house owned by Nigel and Janet Callander. The existing house complex which is in double occupancy is divided in a somewhat curious manner whereby the ground floor rooms of the original main building on the north side form one dwelling. The upper floor of the same building, however, form the bedrooms of the dwelling whose living areas are within the rear ranges to the south, the cottage-like east / west range. The principal entrance to these rear ranges now lies at the re-entrant of the original building and the east/west range to the north-east. Nigel Callander informs us that he had seen a timber within the lodge building that bore the date of 1845 which seems appropriate for the date of the architecture of the building. Mid Lodge lies on the south side of the estate road that runs along the loch side and is located above the estate road upon a slightly raised bank. Its principal elevation faces the loch which we will assign here as the north side of the building. The building overall is an extremely attractive mid-19th century estate building with exuberant Victorian detailing. 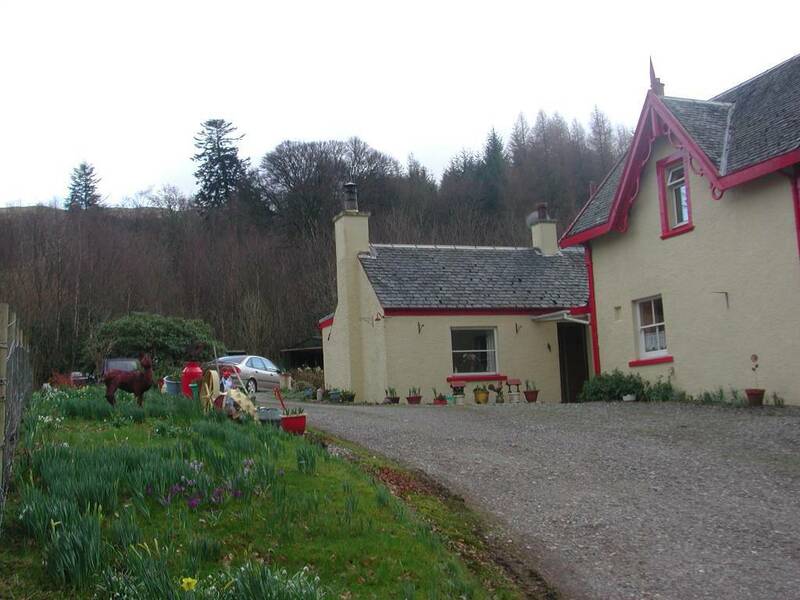 Architecturally it is one of the outstanding individual buildings on the Ardkinglas estate. The house now forms a fairly extensive complex, having been repeatedly extended to the rear. The original building is to the north of this complex. 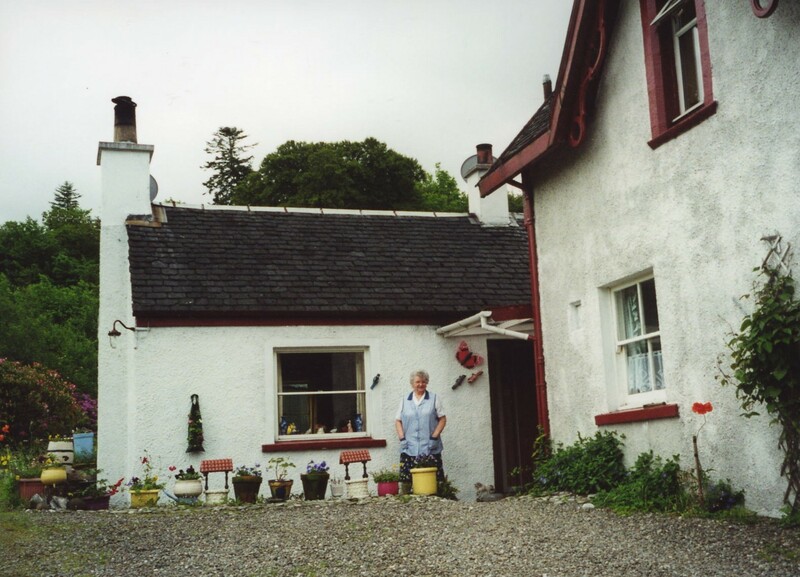 It is of 1.5 storeys under slated roofs, slated with Scots slate. The original building is stone walled and harled. It is not clear whether very much of this harl is the original finish or a reinstatement. Certainly the east wall appears to be new cement harling. Figure 22 and 23 – North and northwest elevation. The 1.5 storeyed original building is L-shape in plan with a principal east/west aligned range and what is effectively a cross range at the east end. The re-entrant angle formed to the north-west is mostly infilled by an open porch or loggia. The best architectural details are on the north elevation, towards the estate road and the lochshore. Here the windows are mullioned and detailed with raised margins and projecting sloping sills. The raised margins of the windows are all tooled with well formed droving and are chamfered within. The window heads at ground floor are detailed with a hood mould that terminates at projecting label stops. The upper windows also have hood moulded but without those stops. Of the windows within the crosswing on the north front, the lower one is of three lights with red pine mullions that still exist. The first floor window had been of two lights; although the mullion has since been removed the socket are still visible above. A particular feature of the structure is the elaborate barge boarding of sinuous Gothic detail. These appear within the gabled walls of the north elevation and the west elevation and a gablet on the east. The gabled south end of the cross wing which faces away from the road has none of these elaborate barge boards. The apex of the three barge-boarded gables formerly culminated in decorative finials which have all now gone. The barge boarding rises up within the angle to a pendant whose decorative terminals extended downwards. These have all gone relatively recently. The angles of the building itself also have raised margins, all robustly droved and tooled and detailed with a chamfer at the angle. These chamfers running down to shaped stops below, all of which are damaged; overhanging stops above which still remain. The porch or loggia to the west of the north gable wall still survives, although in modified form. This originally had been of three bays and was supported by square-section hardwood posts of red pine. Two of these still survive and these rise up to basket arch heads, two of an original three still remain. All of this woodwork is chamfered and the outer angle running up to a stop similarly detailed to that of the masonry at the angles of the building. The original principal entrance seems to have been within this loggia, running into the west return of the cross wing. This is now blocked but the raised margin and chamfer can still be seen beneath later wallpaper. The eastern bay of the porch was subsequently infilled with what is likely to be brickwork. This was then harled over to form a small outer vestibule. As part of this alteration a new entrance seems to have been formed into the main house to the south within the such created porch. The surviving posts supporting the porch have sandstone bases that are of pyramidal form. The walling of the north principal frontage rises up from a projecting sandstone base course that is detailed with a chamfered top. This does not extend around the sides of the building. The door to the existing porch, the porch vestibule within the loggia, contains doors that seem to have been re-used. The easternmost bay of the open loggia / porch was subsequently infilled to form a little vestibule to the main building. This contains paired storm doors that are of high Victorian detail and evidently re-used presumably from the original opening immediately to the east. These are framed and panelled, the panels flush externally, detailed with a narrow bead. Internally they have gothic chamfering with simple stops for each panel. The existing entrance into the house within the later porch contains a partly glazed door, all of which is relatively modern. Figure 24, 25 and 26 – Details of the loggia. Within the porch there is a further window within the principal range of the building. This had three lights as the others in the north gable, but the mullions again have been removed as for the upper window in the north gable. In the west gable are two further windows. The one at ground floor level is offset to the north. It is relatively narrow and never had a mullion. A first floor window, centrally set, had been of two lights with a mullion, the mullion now since gone. There is a small single storeyed double-pitched roofed extension extending out from the west gable wall and offset to the south. It has a slate roof with Scots slates. This was added in the earlier 20th century. The building has a single window in the north elevation, the sash containing six-over-two panes which are detailed with astragals that have a stretched fillet-and-ovolo profile. This extension is roughcast on the outside, possibly in cement. There had been a relatively large window centrally placed in its west gable wall. This was removed relatively recently, in the 1980s apparently, and was replaced with a smaller, square modern window with a single glazed pane. It is possible that this little external extension was part of the original build of the main house although the existing windows are modern in one case and early 20th century in the other case. This external extension extends beyond the line of the south-west corner of the main house and the roofline then extends around, in the form of an outshot, running along the back of the house – i.e. the south side of the house as a monopitch running up to the rear side. This little monopitch outshot has a single window at its east end. This is a relatively recent construction. The eastern part of the outshot appears to have been an extension from the late 1960s. The entire complex had formerly been painted in white but is now a pale yellow with the woodwork, bargeboards etc in red. Immediately to the south-west of the house complex is a further building of 1.5 storeys. This on its lower level appears to have been some form of cartshed that had a broad opening out to the west and this is now obscured by a later lean-to. The upper level is accessed from the east via two or three brick built steps. This is a building which is harled under a double-pitched, slated roof running east / west. The cream and / or white painted externals have a russet red on the barge boarding and rainwater goods. Access to the interior is not possible. As presently visible and as obscured by harl, it is impossible to determine whether this is brick built or constructed of stone. Running east / west along the south side of the original two storey house is a further long range under a double-pitched, slated roof. This is a complex multi-period structure, the core of which appears to be of 1920s or 1930s date. This is the central part which seems to have formed a small cottage-like annexe. Its double-pitched roof had chimneys at the apex of each gable, of which only the eastern one survives. This original core building was extended to the west and to the east by a further full bay in circa 1968. The eastern extension terminates with a gabled end containing a projecting chimneybreast. This rises up to a chimney that now survives. The western gable rises up to a peak, but there is no chimney. To the rear of this east / west range further extensions were added in 1983 by Nigel Callander himself. These are flat roofed and consist of a transverse range running southwards containing the existing kitchen and a small additional flat-roofed, lean-to against the rear of the east / west range. This is basically an expansion of a relatively narrow pre-existing interior, so these 1983 extensions form an L-plan against the back of the east / west range. They are both flat-roofed and roofed over with painted bitumen. However, the flat roofed lean-to along the back of the east / west range, further east seems to be contemporary with the east / west range itself. Evidence of this is fairly clear, as the harling of the kitchen range is quite different from that of the east / west range. The whole of the exterior of the east / west range and the 1983 extensions are all harled in cement. All of these rear ranges are slightly terraced into the very gently rising ground behind the main house. A sunken area is formed with a concrete base and blockwork as a retaining wall. The entrance to the cottage from the re-entrant angle to the main house in the north-east gives access into a small entrance vestibule that is papered with pine effect wallpaper. There is an entrance to the south leading into the existing living room which occupies the eastern end of the east/west rear range. The living room was added in circa 1968 and the walls are simply appointed within, using details seen at this period in estate buildings elsewhere, namely narrow, rounded corners, skirting similarly detailed, plaster boarded walls rising up to a simple cavetto cornice. The walls and ceiling are papered. In the centre of the east wall is a fireplace which is brick and tile built. Small bricks are cemented with a more recent electric fire within. This room has a broad window to the north and a narrow window fronting onto the garden to the south. Evidently, an entrance had been broken through the pre-existing gable end which now forms the west wall of the drawing room. This now leads into a small vestibule area which had been part of the original kitchen, back in the 1920s/1930s kitchen. There had been a Rayburn on the north side of this area and on the south side was a window out to the garden. The latter was broken through with a broad archway in circa 1983 when the existing large southwards extending kitchen interior was added. The kitchen extension has similar detailing to the living room, namely the architraves and the skirting with rounded angles and the cavetto cornice. The room is papered throughout and painted apricot on the walls and white on the ceilings. It has a wooden floor within. There are fitted units to the south and south-east and a central window to the south, a broad window to the south-east and an entrance out to the garden at the northern end of the east wall. The western part of the former kitchen interior has been partitioned off. A central door of 1960s detailing leads into a coat cupboard. The western parts of the rear east / west-aligned range form part of the second dwelling, not accessed at this time. 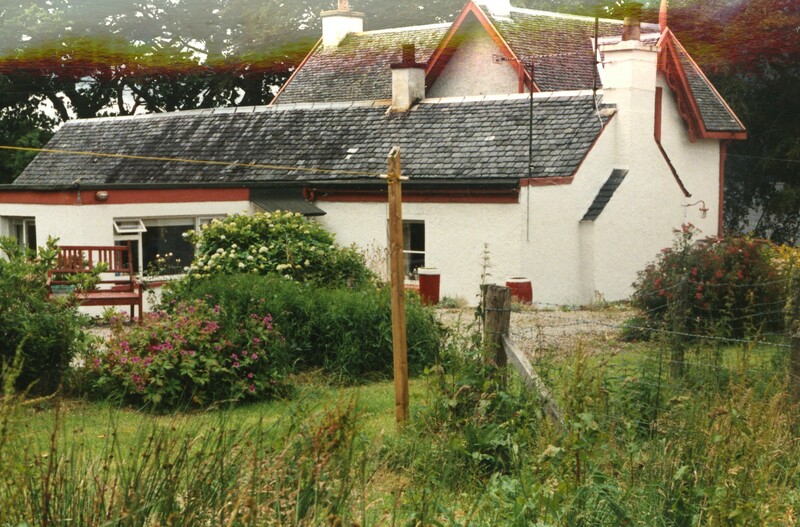 Figure 27 and 28 – The east / west cottage-like range, entrance area to north-east (left), east and south elevation and 1983 kitchen extension to rear (right). The small entrance vestibule into the rear range also leads off, on its west side, to a small passage. This passage provides access, first of all on its north side, to a bathroom which was a relatively recent infill between the rear range and the main building. A little bit further to the west there is an entrance to the stair rising up to the bedrooms within the original building. This entrance has been clearly broken through latterly (perhaps in the 1930s). At the head of the flight of stairs upstairs in the main house is a small landing that leads to the upstairs rooms that are part of the rear cottage-like dwelling unit. This has entrances off it to the west, north and east. The entrance architraves are all detailed with a narrow inner quirked angle roll and an outer ogee moulding. This is consistent for all of the upstairs architraves. The west entrance contains a four-panelled door, the plain panels detailed with an ogee moulding that then runs into a little quadrant, curved moulding. The panels on the inner side are raised and fielded. The room within is a bedroom that lies within the western part of the principal range of the house. This has a partly coombed ceiling to north and south and a single window to the west. This room is likely to have had a fireplace but this has now gone. The fireplace had been located on the south side of the window in the west gable wall. All that remains now is a boarding over the former opening. The room is plastered and papered throughout. It appears that the paper has been painted over, the ceiling is painted white. At the head of the stair to the north is a small press behind a four-panelled door that contains raised and fielded panelling. An entrance off the landing to the east gives access into the principal bedroom. The door within the entrance to this room has raised and fielded panels on the internal side only. The bedroom occupies the width of the eastern crossrange. It has a partly coombed ceiling to east and west. There is a window centrally to the east within a small tympani gable and a further window in the centre of the north wall. These now both contain modern fenestration. The existing sash-and-case window, one-above-one pane, within the northern opening dates to the 1930s. There appears to have been a fireplace within the southern end wall of this room of which there is some evidence, just visible behind the headboard of the existing bed. There is certainly a chimney externally at the apex of the gable within the south end of the cross wing. Figure 29, 30 and 31 – Upstairs interior within the main house, used by the rear cottage-like range: stair (left), north-east bedroom with window to north (centre), brasswork detail of north window (right). The upper part of the existing stair appears to be in situ, rising in a straight flight or descending in a straight flight before meeting two angled steps that appear to be original. Thereafter, the stair seems to have been modified and run through down to the north into the rear ranges. It may originally have turned the angle around to the west and then another straight flight down to the south within the stairhall area. There is some evidence that this has all been substantially modified. At the head of the stair, above the stair itself on the west side, there is a small fitted cupboard which has partly wrought iron hinges. This appears to be comparatively early. Towards the bottom of the present stair there is a small press, which may perhaps represent a former entrance at the stair foot on the west side. An existing entrance at the bottom of the stair, beyond the little landing gives access into the secondary ranges running along the south side of the main house. Clearly the interior of the ground floor of the main house has been considerably remodelled and formed partly into an open plan. What may have been the stairhall area seems to have been modified with the removal of the lower part of the staircase which would be the western part of the staircase. This was perhaps undertaken in order to enlarge the main ground floor room to the west. This now forms a broad sitting room that opens directly into the former stair area. Access to the interior at ground floor level was not possible at the time of visit. The existing window within the ground floor room to the west in the north wall is a modern three light PVC window. The smaller window at the north-west corner, north end of the west wall within the same room is of a single light wood frame, single fixed pane, again of 20th century date. The window within the existing porch seems to have been a re-used fixed, glazed panel of four-by-three panes. It has Victorian gothic astragal details. The eastern parts of the interior of the ground floor area of the main house have also seen some major modification. An apparent subdivision was inserted to form a bedroom to the north-east and bathroom, kitchenette, etc. to the south-east. The internal finishes all appear to be relatively recent. The cornicing is of 20th century date, maybe even later 20th century date; the cornice of a simple cavetto detail. The kitchenette occupies the south-east corner of the interior. This contains fitted units to the north and south, within a relatively narrow interior. The chamber appears to be part of the original arrangement of the interior defined by original walling. An entrance off the understair area of the hall of the stairwell area on its east side gives access to this chamber. 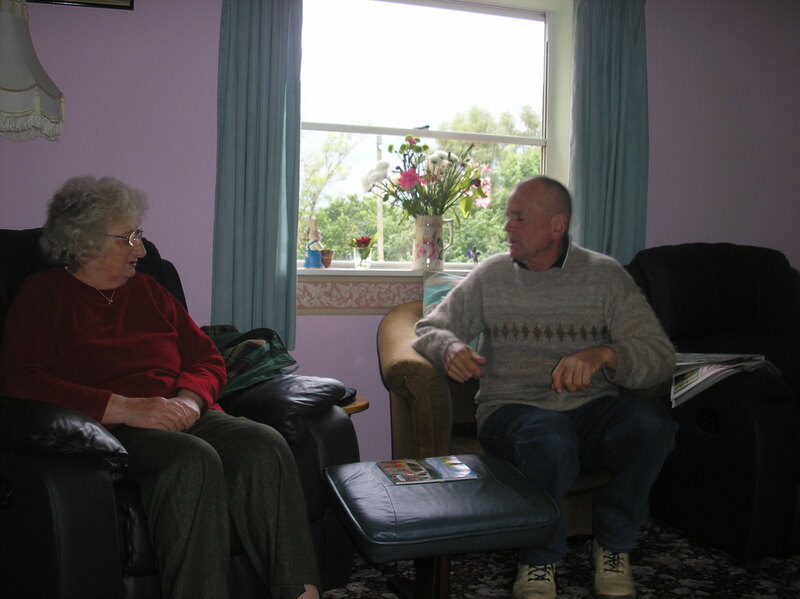 Transcript of Mid Lodge back by Nigel and Janet Callander.